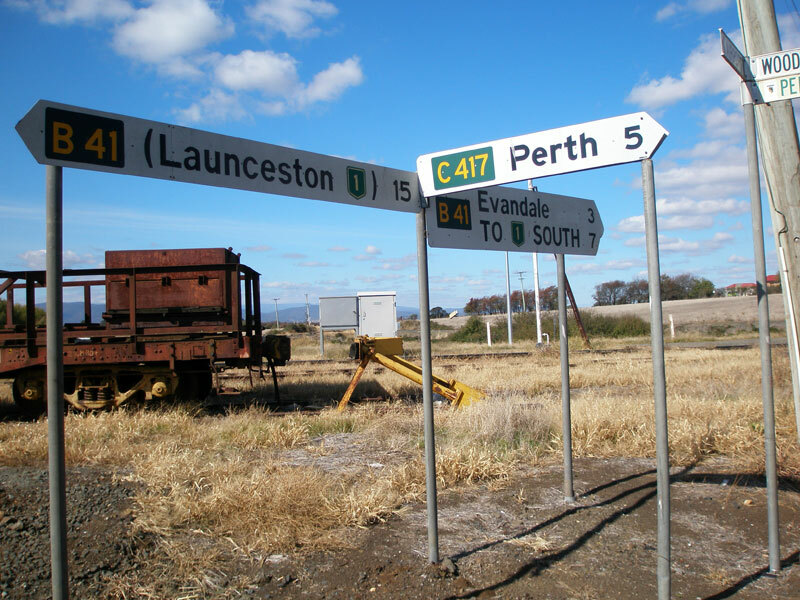 C417 AD sign, southbound on B41 (Evandale Main Rd) approaching the eastern terminus of C417 at Western Junction. Source: Peter Renshaw, May 2007. 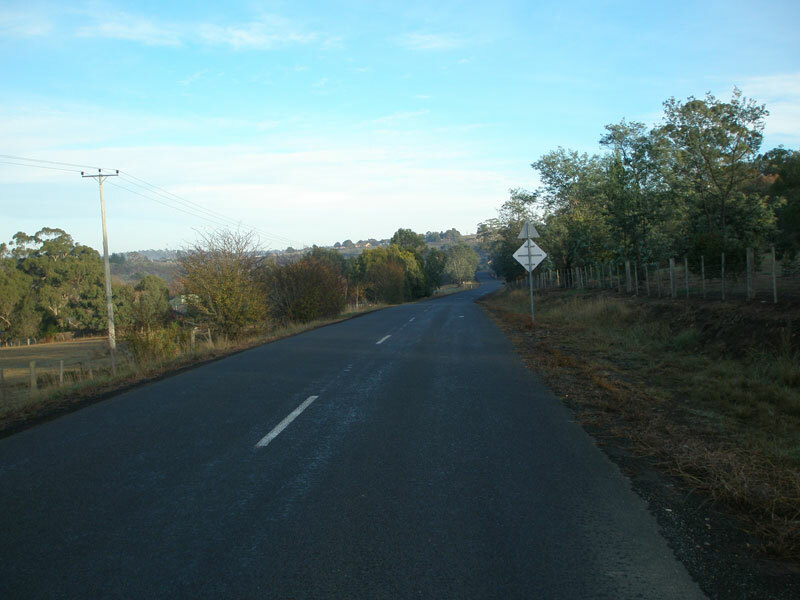 C417 is a rural connecting route in the northern Midlands, linking the Midland Highway at Perth with Launceston Airport via Western Junction. 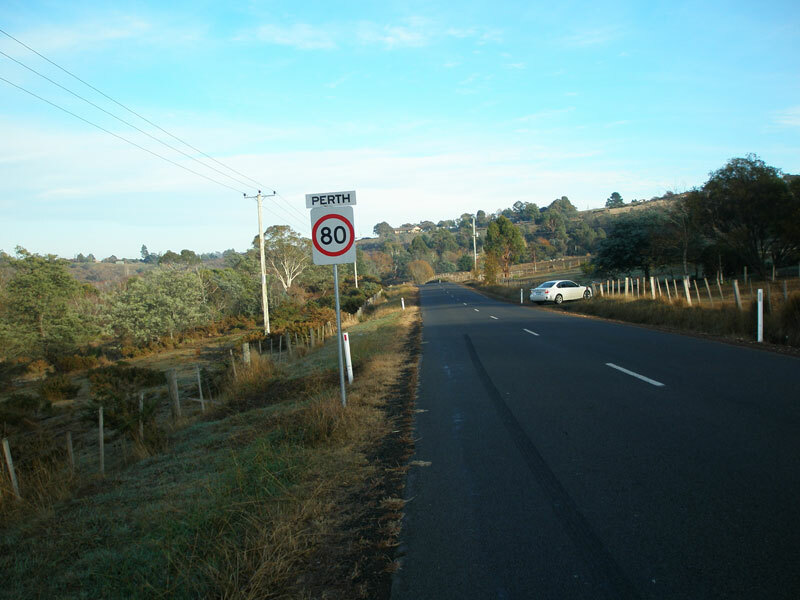 It carries timber and airport traffic headed to/from Devonport (via B52) as well as providing an alternative to Leighlands Secondary Road (B41) which does a similar job on the southern side of South Esk River. C417 is sealed for its full length. C417 is a member of the illustrious One-hit Wonder club - signage showing the route marker only appears at its eastern end. 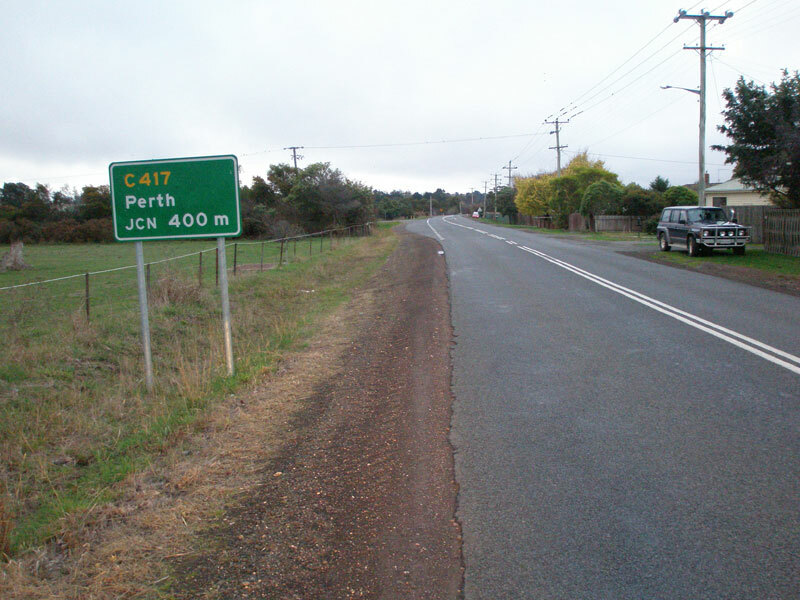 The DIER has incorrectly omitted the C417 route marker when the ID signs at the Midland Highway junction were installed. Evandale Main Road (B41) southbound approaching Mill Road (C417) at Western Junction. Evandale Main Road (B41) northbound approaching Mill Road (C417) at Western Junction. Fingerboard signs at the junction of Evandale Main Rd (B41) & Mill Rd (C417). 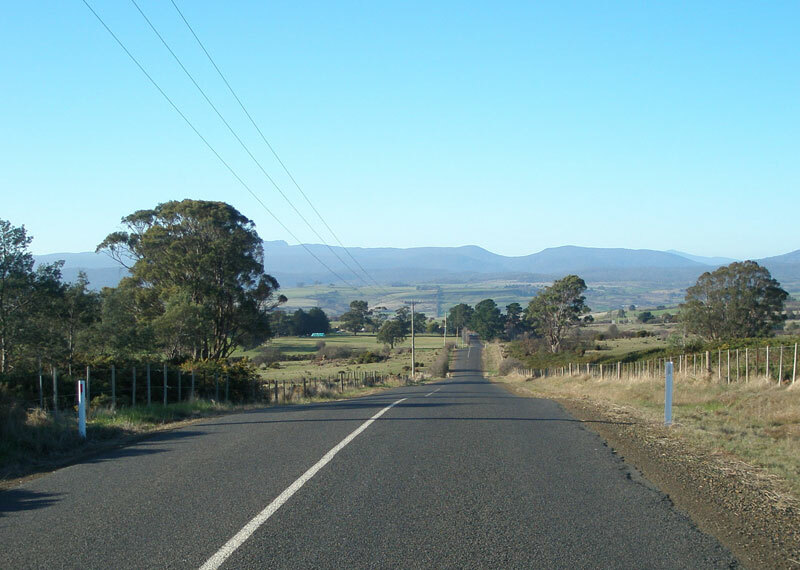 In the background is the 'Western Junction' - the junction between the Launceston-Burnie and Launceston-Hobart railway lines, looking rather worse for wear. 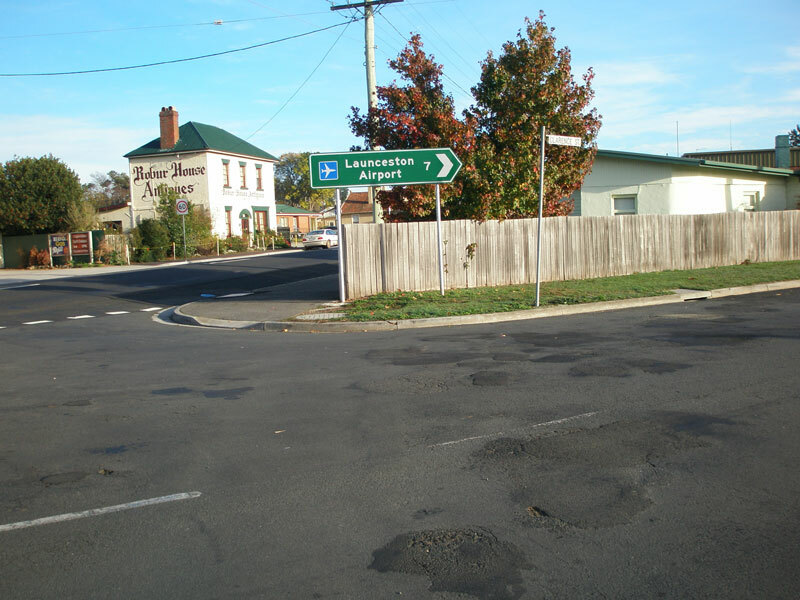 Note that there is no mention of Launceston Airport, which requires a left turn onto the B41. 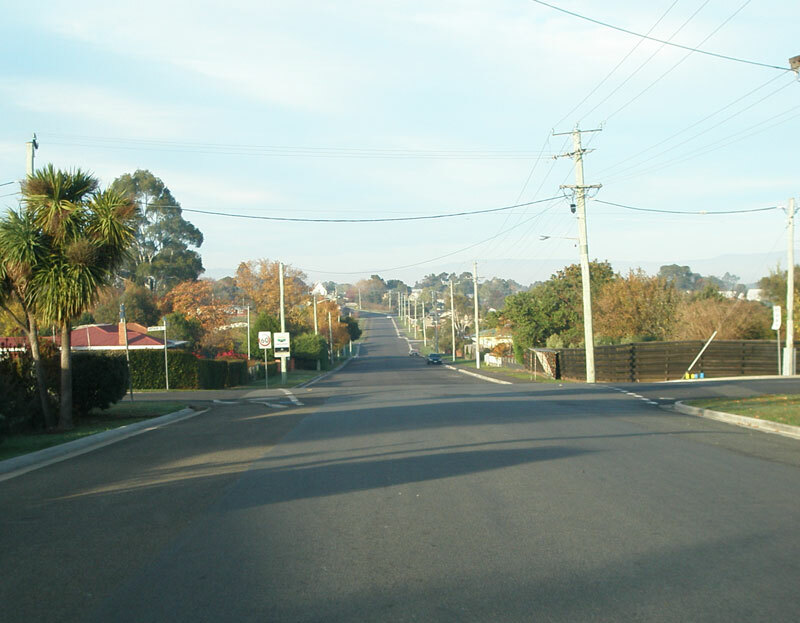 Mill Rd (C417) looking west from its junction with Evandale Main Rd (B41) at Western Junction. Mill Rd (C417) looking east towards its eastern terminus. 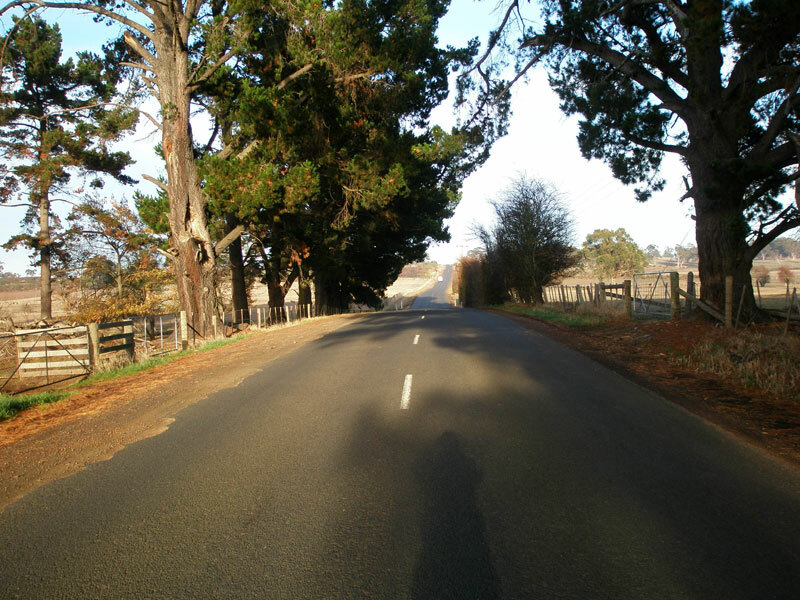 Mill Rd (C417) looking west approximately midway between Western Junction and Perth, approaching a level crossing with the Launceston-Burnie railway line. Mill Rd (C417) looking west from the western side of the level crossing with the Launceston-Burnie railway line. Mill Rd (C417) looking west at the eastern boundary of the town of Perth. 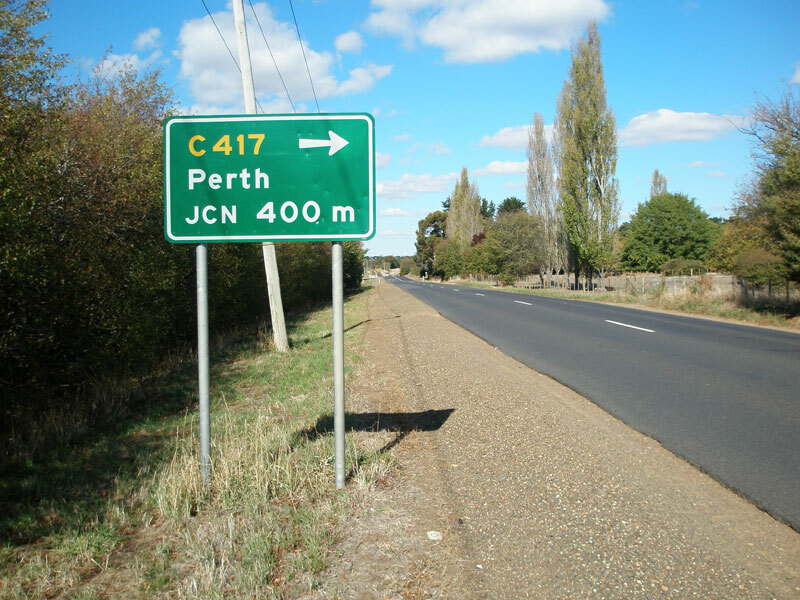 Once C417 enters Perth it turns south, paralleling the South Esk River ot its terminus at the Midland Highway. 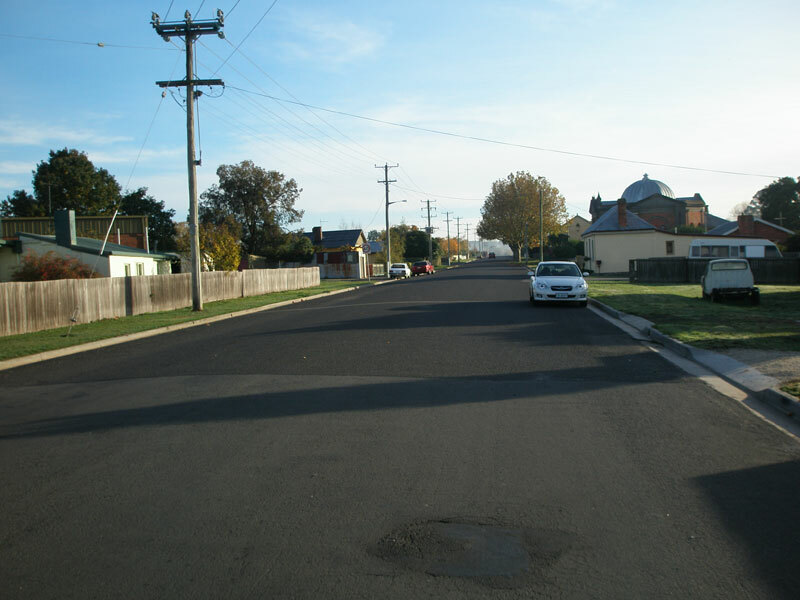 This photo shows Clarence Street southbound through Perth. Clarence St (C417) looking north from its terminus at the Midland Highway in Perth. 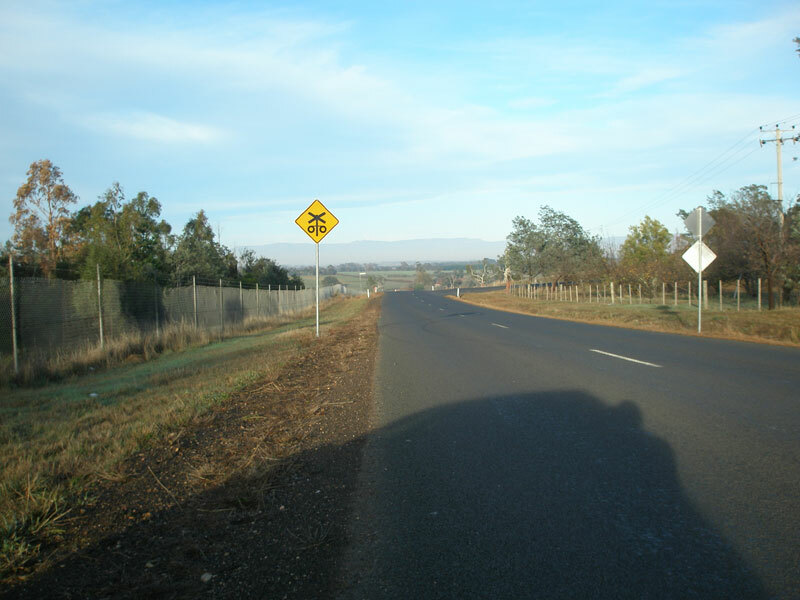 ID sign facing northbound traffic at the intersection of Midland Hwy (Nh1) & Clarence St (C417), omitting the C417 route marker but showing 'Launceston Airport' focal point. 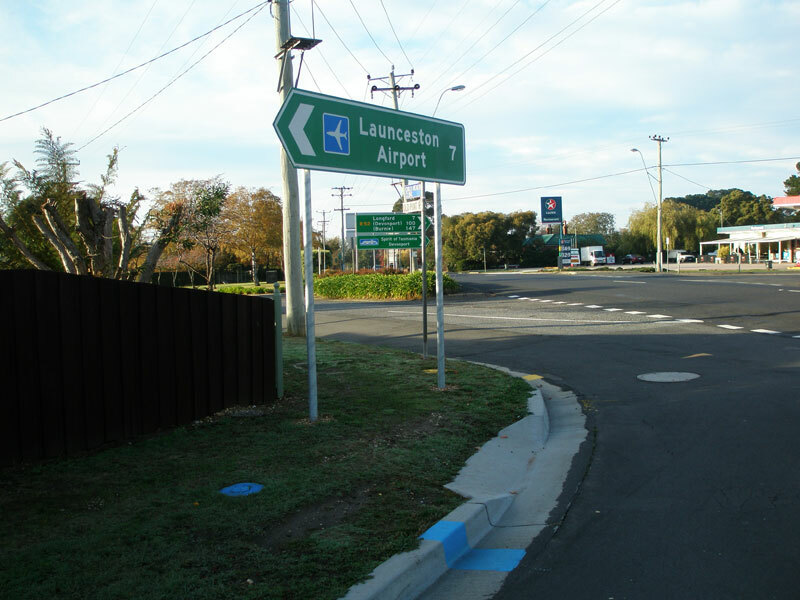 ID sign facing southbound traffic at the intersection of Midland Hwy (Nh1) & Clarence St (C417), omitting the C417 route marker but showing 'Launceston Airport' focal point.